I love the dish but I am eating the dish in guilt. I have prepared this purely out of my passion for cooking and a challenge to myself for the ability of preparing some authentic traditional Chinese dishes. 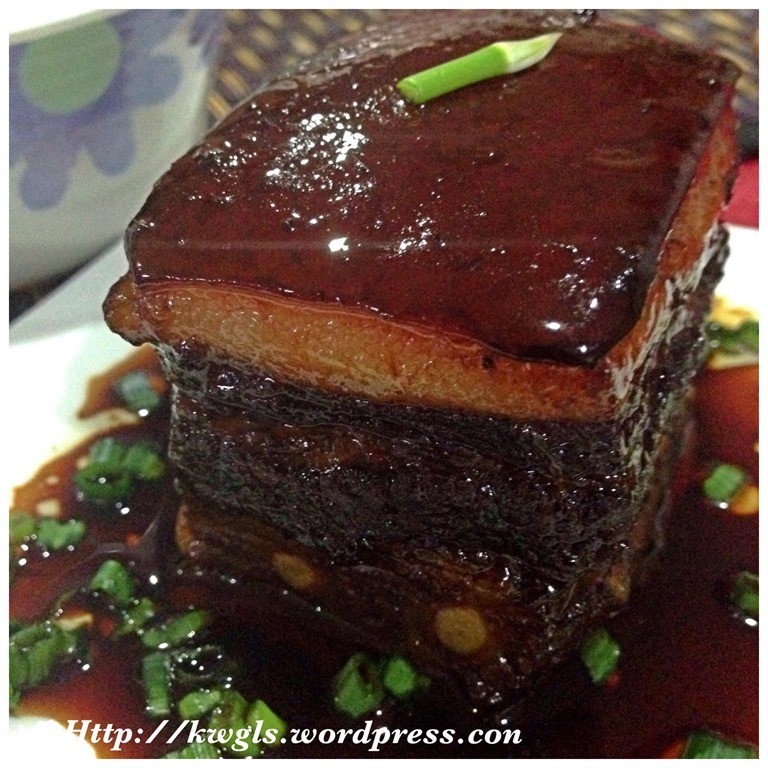 I first tried Dongpo Meat (“东波肉”） in Shanghai, China many years ago. It is slightly sweet and though very fatty, you wouldn’t feel the greasiness after eating it. In Chinese, it is called 肥而不腻. It is a very aromatic piece of meat and you may ended up having a few more pieces without noticing it. This is a dish with a very long Chinese history “invented” by a famous Chinese scholar and poet named Su Shi (苏轼), alias Dong Bo (东坡), (1036-1101). Have a big pot of boiling water and blanched the meat for 2-3 minutes until the outer layer is slightly cooked and hardened. 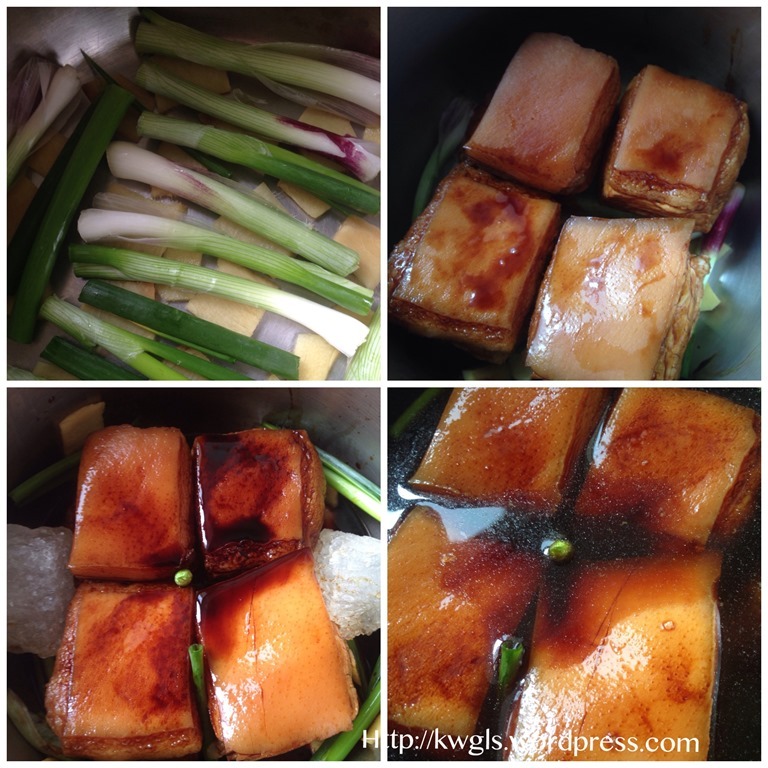 Take out and cut into 5cm x 5 cm pieces and put back to the boiling water to harden the outer layer. 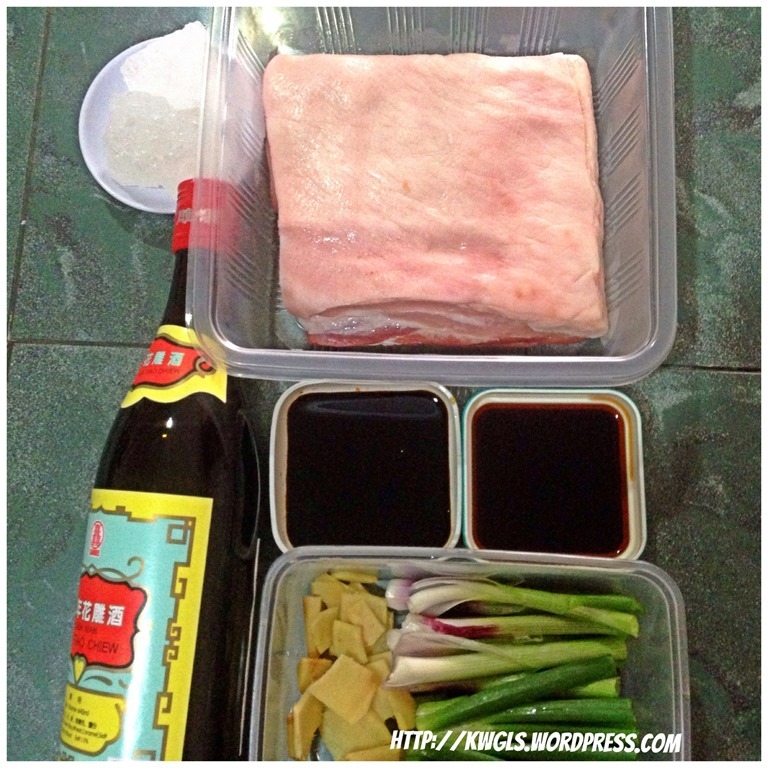 Take out the pork and coat with some dark soya sauces. 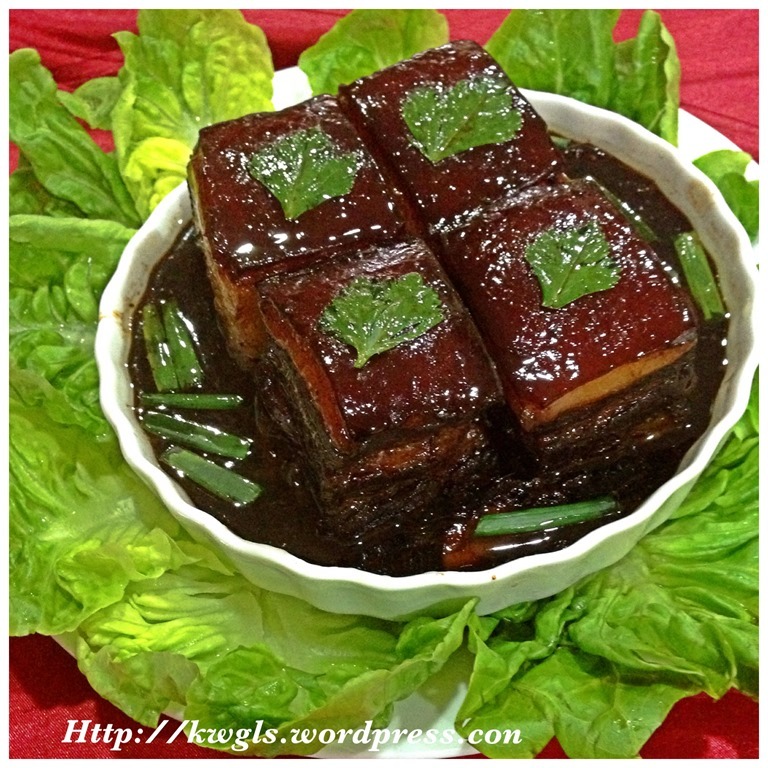 In a pot or clay pot, put a layer of ginger and spring onion, put the pork on top of the ginger and spring onion. 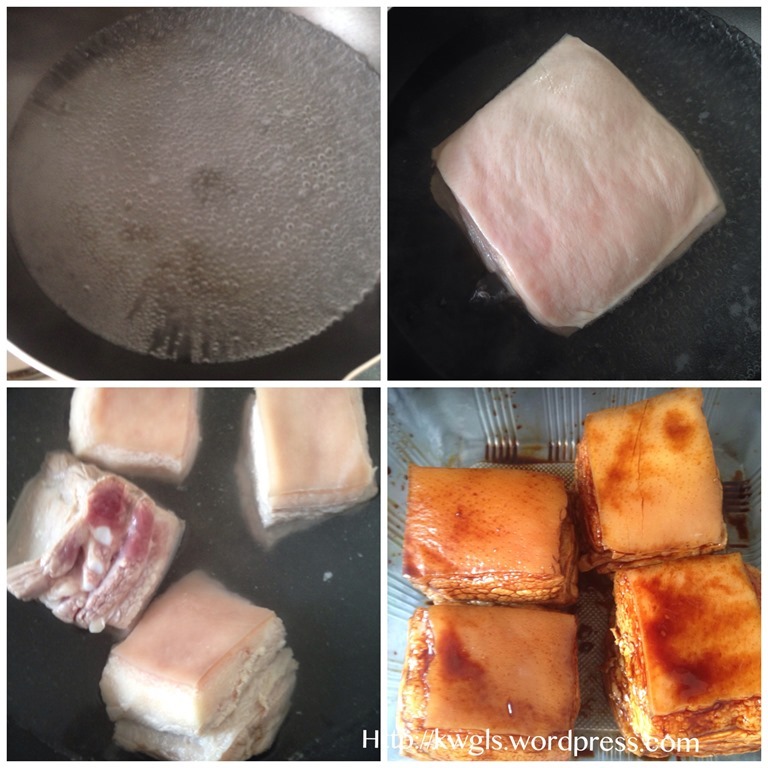 Add dark soya sauce, light soya sauce, Chinese cooking wine, rock sugar and adequate water to cover your pork. Bring to boil under high heat. Once boiled, turn to smaller heat and continue boiling to about 1.5 hours. After 1.5 hours, open the lid and turn the meat to the other side and continue boiling for another 0.5 hours. Let the meat rest in the pot for say 0.5 hour, take the meat out and arrange nicely in a serving plate and steamed under high heat for another 15 minutes. (note that this step is optional. Some recipes do bypass this step and I found that as my meat is a bit lean, therefore, the lean part is slightly hard, steaming will incorporate moisture to the meat and make it even softer. 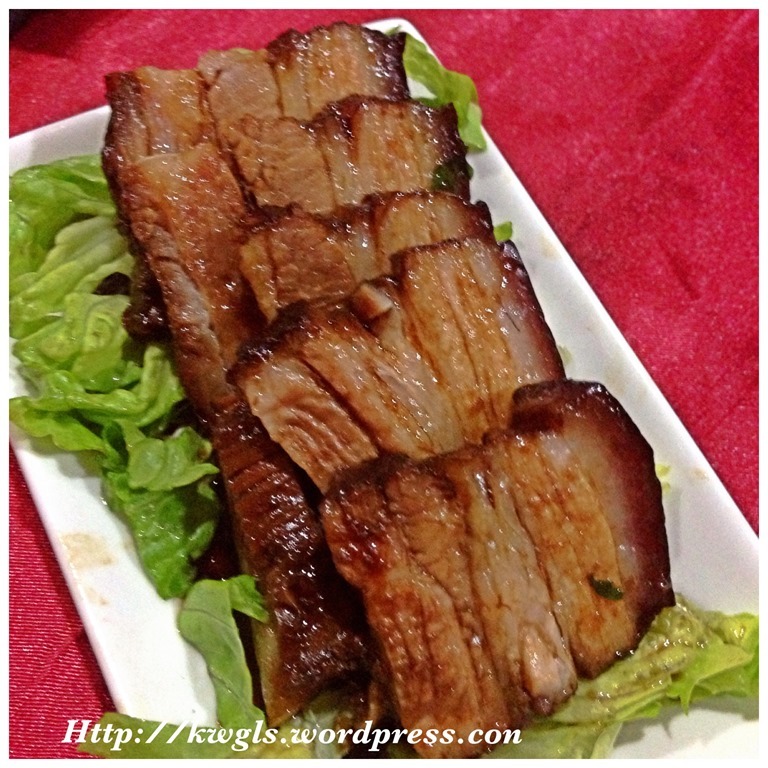 As the pork belly meats in Singapore were rather lean, therefore, it can be cut into pieces as shown in the picture. In the restaurant, the usual serving is one piece of 5cm x 5cm meat per guest. 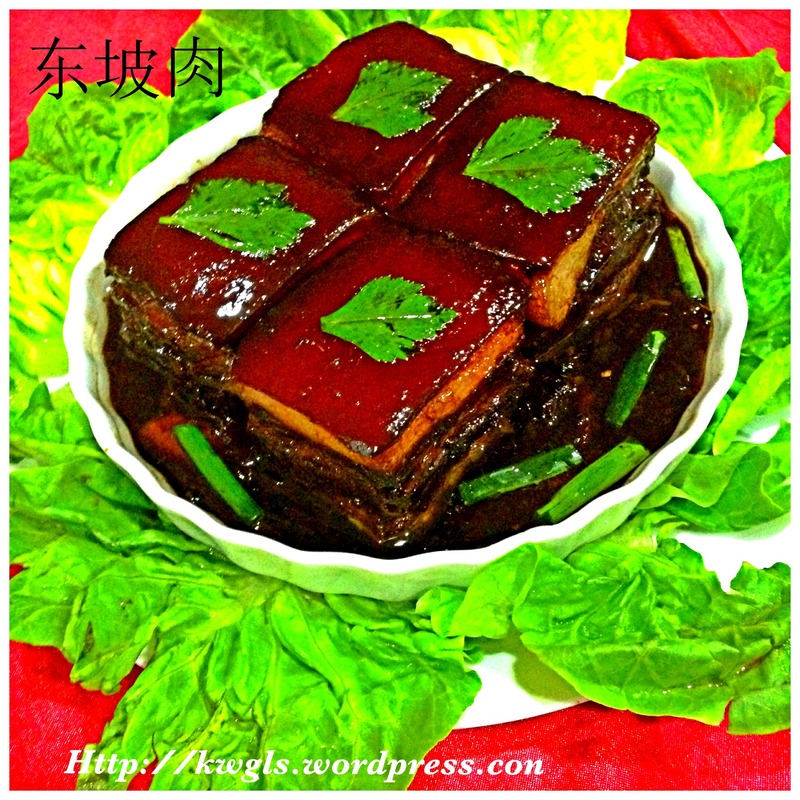 Secondly, in order to make the colour slightly reddish as seen in the restaurant, there are many speculations, Some claimed that red colouring were added whereas some believed that the red colour fermented bean curd was used. However, in my humble opinion, there is no need to make the dish reddish colour since beside the colouring effects, it will not affect the taste of the meats. Moderation is still the key. 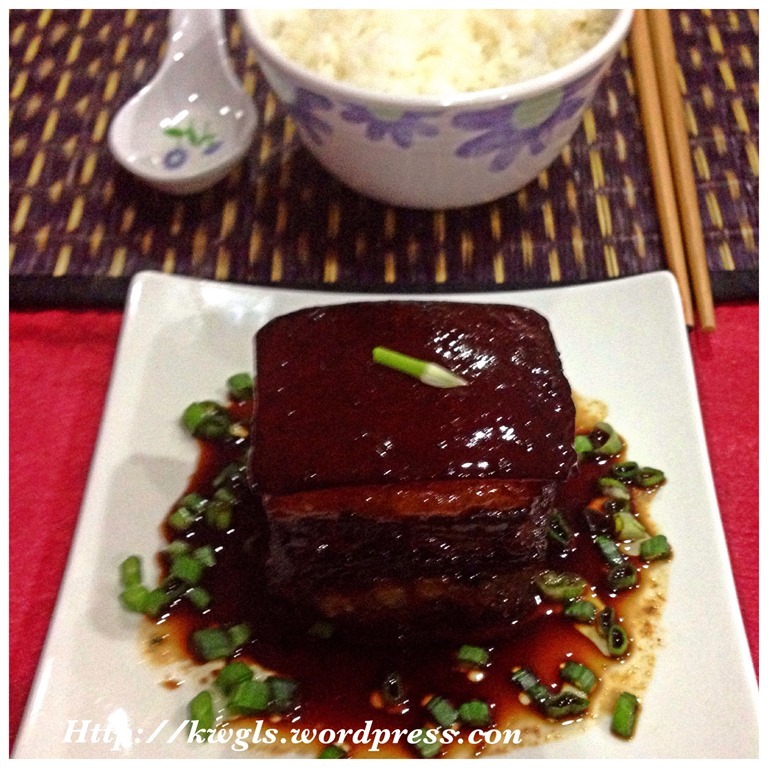 This is a nice dish but do not consume too often. As I have said earlier, I am eating this in guilt. As a generation that is constantly reminded not to consume too much fats, I have to be honest that I have cut away some fats when I was having this dish with rice yesterday. 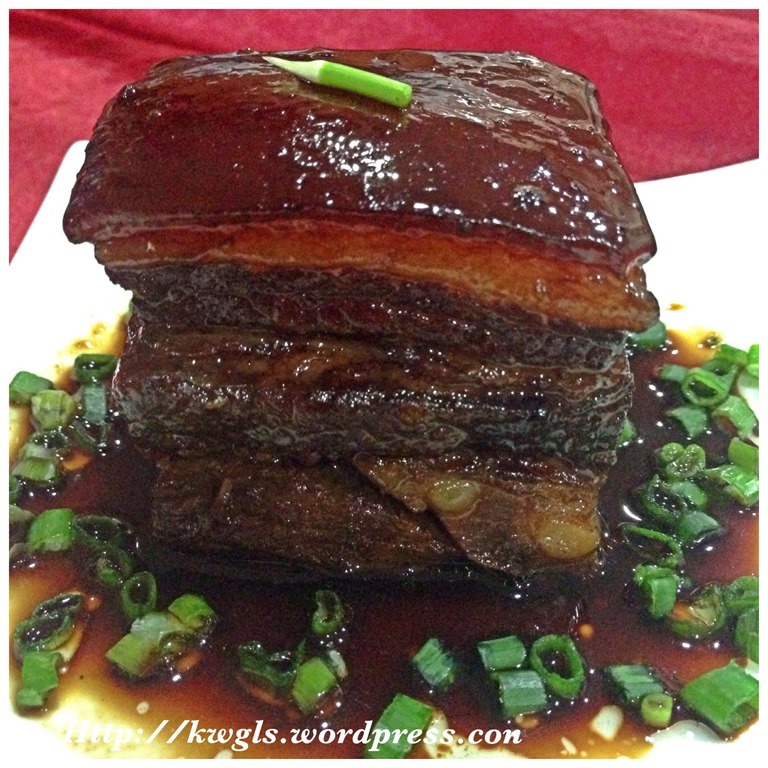 One thing good about the pork belly meat in Singapore is that , in my humble opinion, is very “lean” as compared to the pork belly meat of other countries. 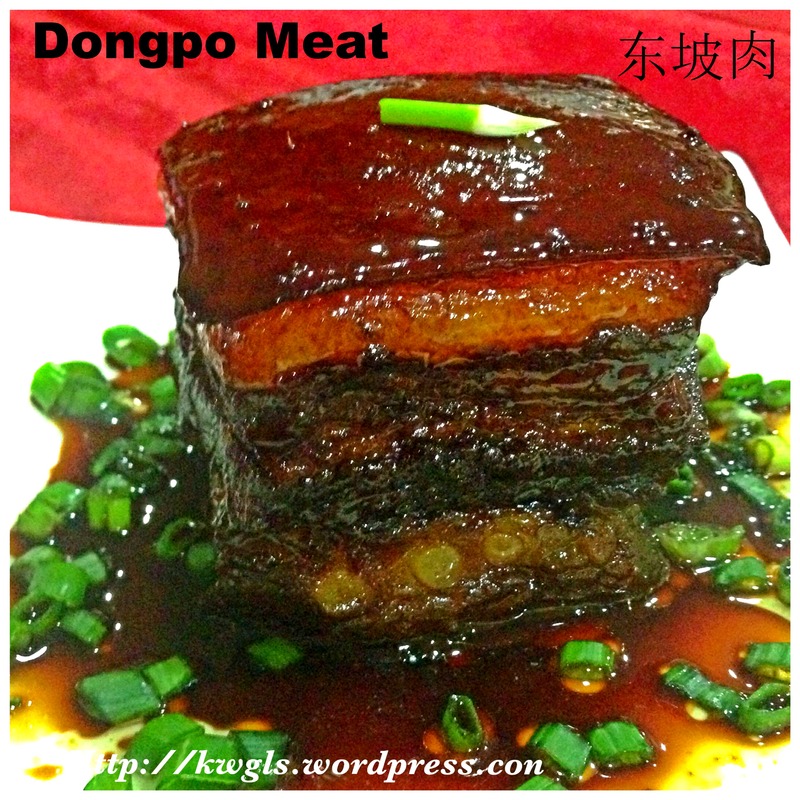 Therefore, the amount thrown away is very minimal and you can still taste the nice Dongpo meat. 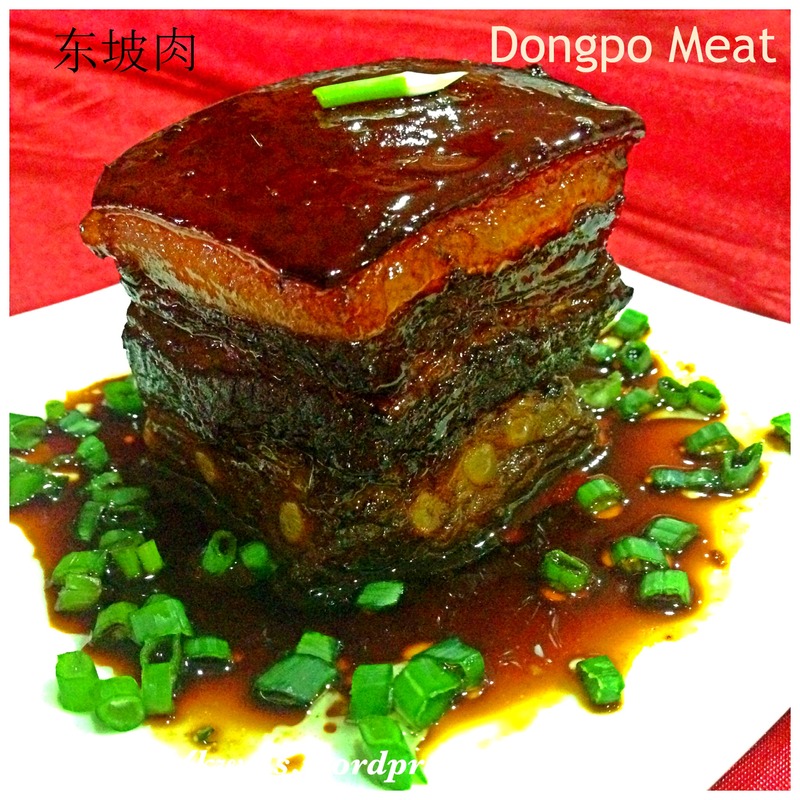 If you searched images for “Dongpo Meat” in the internet, you will understand what I mean. This entry was posted in Dish, Food Preparation Series and tagged 8, CHINESE, cuisines, DONG PO MEAT, DONGPO MEAT, history, pork, pork belly, postaday, 东波肉，苏东波， 五花肉. Bookmark the permalink. OH wow, this looks AMAZING! Drooling! Thanks for linking up to #tastytuesdays! I had to book mark this recipe too. I am so glad you found our party, Four Seasons Blog Hop. I am pinning your recipes, Thank you so much for joining us. Looks amazing. My husband isn’t much of a fan of belly pork but I thin this would persuade him. Your pictures made my mouth water. It looks wonderful! The care you put into this dish shows. 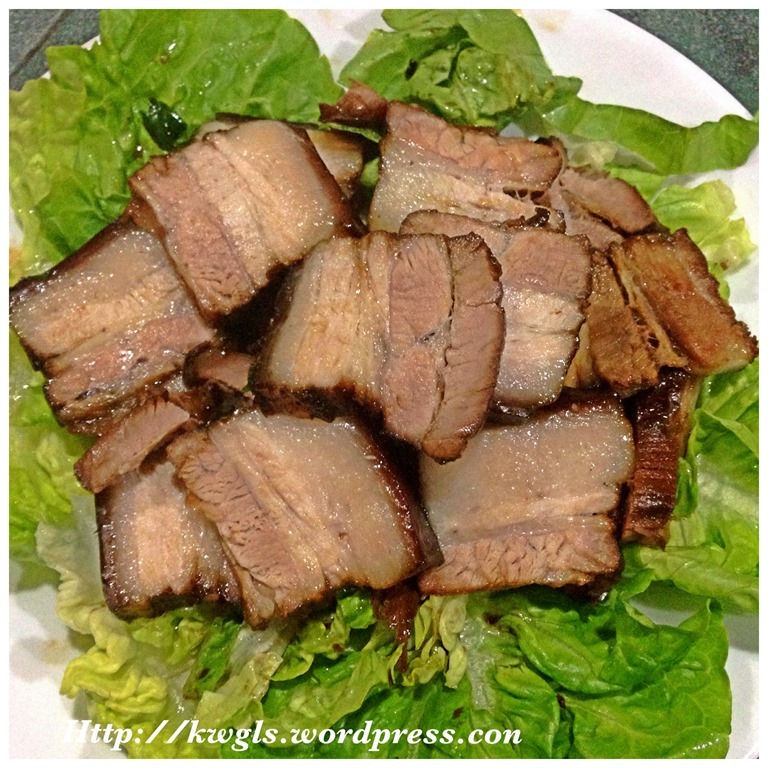 Your pork looks so tender. Thank you for sharing such a traditional dish, with a great history behind it on Food of the World. Hi Kenneth can I use brown sugar slice in place of rock sugar? Those brown sugar used for tang yuan filling or desserts.